Whether set in terrestrial oceans or on far-off space stations, Cat Rambo’s masterfully told stories explore themes of gender, despair, tragedy, and the triumph of both human and non-human alike. Cats talk, fur wraps itself around you, aliens overstay their welcome, and superheroes deal with everyday problems. 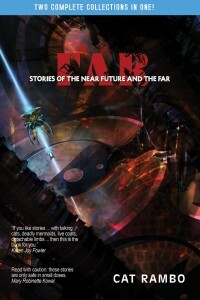 Rambo has been published in Asimov’s, Weird Tales, and Tor.com among many others. 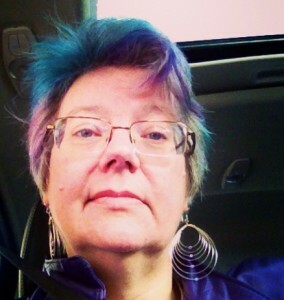 She was an editor for Fantasy Magazine, has written numerous nonfiction articles and interviews, and has volunteered time with Broad Universe and Clarion West. She has been shortlisted for the Endeavour Award, the Million Writers Award, the Locus Awards, a World Fantasy Award, and most recently the Nebula Award (for “Five Ways to Fall in Love on Planet Porcelain,” which appears only in the book. Buy the book from Hydra House Books. Buy the hardcover edition on Amazon. 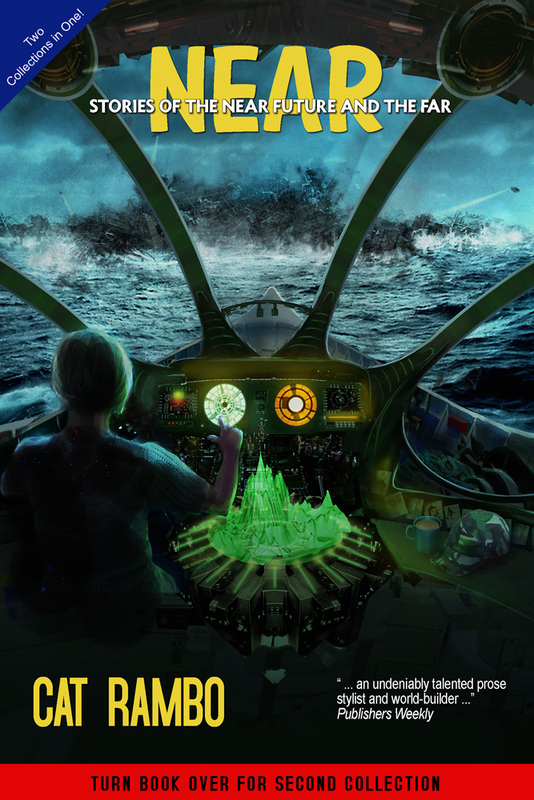 Cat Rambo’s futures are complex, and often dissonant and eerie — they evoke the familiar in their careful world-building, intricate detail and recognizable characters, while simultaneously constructing futures flavored with the strange. Her futures are often unsettling, but never so simple as to be dystopic; her stories inhabit complex, ambiguous worlds. 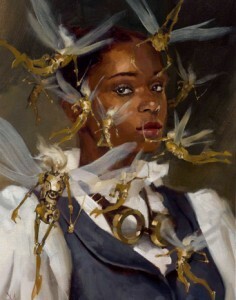 Her simultaneously familiar and unfamiliar settings sharpens her portrayals of human relationships. By recasting core experiences against disjunctive backgrounds, she causes the reader to appreciate them anew. People are always at the center: they fall away from each other, cope with betrayals, seek connections. While the inner eye marvels at her immersive images, the body resonates with the subtle, deft emotions imbued in her characters. 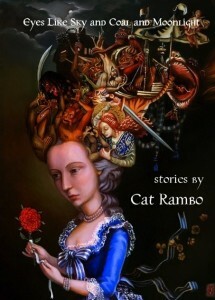 Cat Rambo’s finest stories shimmer in the memory like the lights of the Aurora Borealis: vivid and eerily illuminating. Cat Rambo’s stories never go where you expect them to. They twist and turn and end up in strange places — sometimes very strange indeed. Both the stories set on the Earth we know (or think we know) and those set far away will surprise and delight you. Cat Rambo’s newest collection shows two sides of her fiction. Powerful prose, coupled with telling details. Not only does the collection flip, physically, it will also turn you on your head. Read with caution: these stories are only safe in small doses. Near + Far is a survey of the terrain of Cat Rambo’s imagination, ranging from small fantasies of the moment to vest pocket planetary romances. She tends to the quiet, internal, disturbing reflection, far more Bradbury than Heinlein. Moving, thought-provoking literature in nicely comestible chunks. As exemplary short story collection in both senses of the term — excellent and also a model of what the range of the career of a speculative short story writer should be, and these days unfortunately so rarely is. Wide in its subject matter from the immediate future to the wide open spaces, deep in its physiological characterization when that is the central point, speculatively amusing when it isn’t , well-realized almost all of the time and always entertaining. If you’ve read Cat Rambo before, you’ll know what to expect: her prose is smooth as a dream but often hides an incredibly sharp, emotive edge. At times, she gives more depth to a character in a handful of pages than many novelists manage in hundreds. Thematically, there’s a lot of depth here too, but the author has a light touch with this, making most of these stories the kind you’ll want to read, let simmer for a while, and re-read. It’s a clever conceit quite nicely executed, and absolutely impossible to carry over to e-book format. All of this clever design would be pointless if the stories were no good — fortunately, Cat Rambo is a great storyteller….If you want some really excellent stories, get the e-book. If you also want a physical object to warm the heart of any print-book collector, go for the paper version. Either way, you won’t be disappointed. In “Porcelain,” a multiverse story in miniature, you have perhaps the most finely crafted piece of the collection. 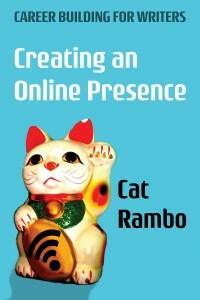 The shock of regret that I did not publish this was very keen: this is Cat Rambo at her best….Great collection. Very worth your time and treasure to get a copy. Whether set in terrestrial oceans or on far-off space stations, Rambo’s masterfully told stories explore themes of gender, despair, tragedy, and triumph. Hydra House cover for Near by Cat Rambo. Art by Stephen Counley; cover deisgn by Tod McCoy. Hydra House cover for Far by Cat Rambo. Art by Stephen Counley; cover design by Tod McCoy.